Rachael Delamare, who was an NWAC All-American and North Region player of the year for the Bulldogs in 2016, went on to play for the Oregon Tech Owls. Listed are Bellevue College softball players who finished their academic and athletic careers at four-year colleges or universities. Bellevue College softball records, player and coaching awards and All-American information are listed on other pages in the softball history section. 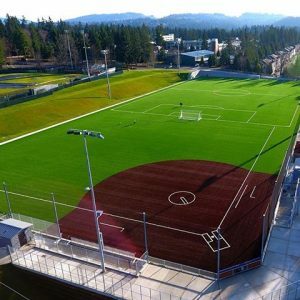 BC’s new synthetic turf complex will be home to Bulldogs softball beginning with the 2018 season.